"Successful Real Estate Transactions since 1989......"
As per the California Association of Realtors® purchase agreement, all disputes must be mediated prior to arbitration and litigation. Successful real estate mediation, however, requires comprehensive knowledge, and understanding of, the real estate business. Beverly Taki offers for her clients the combination of excellent real estate experience and up-to-date dispute resolution skills. Beverly provides mediation services for real estate conflicts through her company Beverly Taki, Inc, and provides the best most cost-effective quality services to clients. Beverly is a CA and MO licensed real estate Broker who has effectively represented residential real estate clients for more than 25 years. Beverly is a devoted, loyal and honest businesswoman with a passion for real estate and for helping others to achieve their goals. She has been successful because she is organized, dependable, persistent and able to solve problems for her clients. In mediation, Beverly uses a combination of transformative and interest based Alternative Dispute Resolution techniques to facilitate communication, identify the underlying interests in a way that both parties have never been able to identify, create a settlement and provide for reconciliation. She is a graduate from the University of Missouri, Columbia, Missouri with a B.S. in 1976 and the UCLA Real Estate Extension program in 1989. She has earned a certificate in the Dispute Resolution program of Pepperdine University School of Law, Straus Institute for Dispute Resolution. She specializes in Real Estate Mediation. 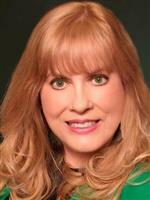 Beverly has devoted 18 years in organized real estate through her association the NAR, CAR and MAR. She twice served as president of the Malibu Association of Realtors. She served as communications committee chairman for Beverly Hills Association of Realtors, board director for CLAW/The MLS and as a state board director for the CA Association of Realtors for 10 years. Through this volunteer work in organized real estate she has become totally involved in the CAR contracts, their usage, and interpretation with the thorough understanding of each. Taki has a clear understanding of all issues and matters related to any real estate dispute and or conflict. It would be my greatest pleasure to assist you with your real estate needs.